Megaformer Seattle: Who is Sebastien Lagree? If you have experienced a Lagree Fitness workout, you know that during each 40-minute workout, you’re using the Megaformer to enhance all five elements of physical fitness. One session provides everything you need to optimize your exercise regime. But do you know anything about the man behind the machine? Sebastien Lagree, the inventor of the Megaformer, has been on a long journey to health and fitness, which led him to create this innovative machine to help others like him. 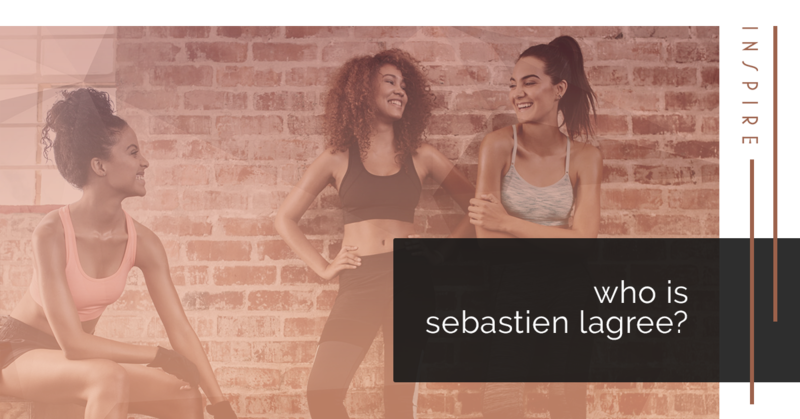 If you’re curious to read about the CEO of Lagree Fitness, read on below for some background information on Mr. Lagree as well as his machine. Mr. Lagree was born in France and raised in a rural area about an hour east of Paris. He first began working out when he was teenager. When his parents split up, he moved with his mother to the States and became completely obsessed with working out. He became a bodybuilder in his 20s and began spending 40 hours a week in pursuit of fitness. During this time of his life, his preoccupation with bodybuilding was unhealthy, causing him to miss out on life and leading to insomnia and muscle fatigue. A visit to his doctor in his mid-20s served as a wake-up a call. An x-ray revealed that his spine was crooked due to over-exercise. After years of working with a nutritionist and cutting back on training, Lagree was finally able to heal, and it was during this process that he invented the Megaformer. The Megaformer was originally based off of the ab wheel, a staple in Lagree’s fitness routine as a bodybuilder. Admiring the device’s efficiency in working the core, he used its basic components and built upon them to create a machine that offered a full-body workout. His motivation was to offer a tool that let people achieve their fitness goals without being a slave to them, as he had been in his 20s. Today, Mr. Lagree has found moderation. His relationship with food and exercise is based on how it makes him feel, not his appearance. Motivated by his own experience with fitness obsession, Lagree has recently completed his first documentary, titled “The Future of Fitness.” Traveling around the U.S., Lagree met with a variety of individuals affected by the fitness culture to determine what it is that makes it so unhealthy for many. In addition, the documentary reflects on the future of fitness based on the rapid evolution of science and technology. If you’re interested in trying a Megaformer workout for yourself, come visit Inspire Seattle. We offer classes as early as 5:30 A.M. and as late at 7:15 P.M. With convenient 40-minute sessions, it is possible to fit a Megaformer workout into any schedule, and because the workout has been designed to be efficient, you know you are getting exactly what you need to work all of your muscle groups. If you’re interested in trying a Lagree Fitness class, come visit us at Inspire Seattle! © 2018 Inspire Seattle. All rights reserved.